Despite the wonderful array of ‘big’ sights in Tamil Nadu – temples, fortifications, great sweeping beaches, high mountains – it is the little things, the low-key and random interactions with local people which really give the state its true flavour.Of course it’s impossible to ‘predict’ what types of experiences you might encounter during a tour of Tamil Nadu but there are many possibilities; here are a few. All along the coast there are communities of fishermen who live in very simple villages close to the ocean. And everywhere you go you’ll pass through villages where the simple event of you getting out of your vehicle will attract a crowd- people love nothing more than to chat with visitors over a cup of chai at a local tea stall and the amount of English spoken in south India means that it’s possible to have an actual conversation in most places you’re likely to stop.This is one of the best ways to gain an understanding of the local way of life and experience Tamil Nadu as the locals do. 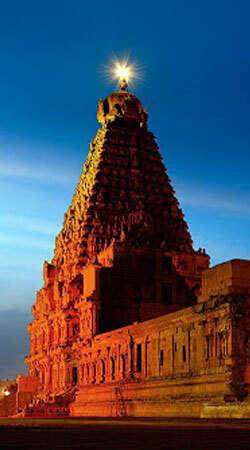 Chettinad is the land of Chettiars and the life here is pretty distinct than the rest of Tamilnadu. They are popular for their massive architectural mansions and palatial buildings. Their style of cooking is very much unique to their own.Visit the local markets, observe the local craft of tile - making, ride around the village by bullock cart. 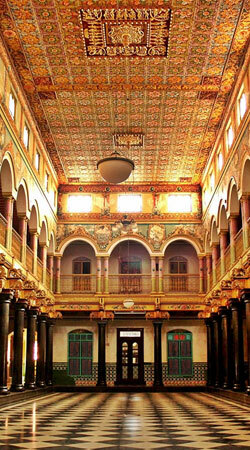 There are number of villages in and around Chettinad which offer you a “one of a kind” experience. Visit some old mansions in Kanaudakathan village, Athangudi village & at Kadiapatti village and try the sumptuous Chettinad Cuisine. Athoor is a serene village located at the Dindigul district of Tamilnadu. 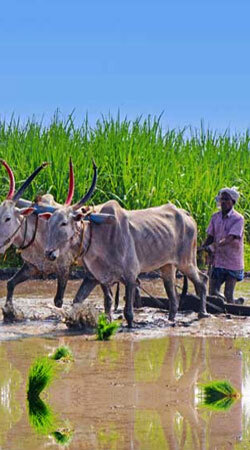 If you are looking for a pure village experience, Athoor is a great option. As you take a tour around the village you will come across the goat herders’ village, the local primary school, the Athoor village square, the small yet spectacular ancient temples etc. Witness brick making, traditional saree making, pottery making and much more. Tucked away in the outskirts of the Kumbakonam town, Swamimalai is popularly known as the cradle of Chola bronze statues and stone sculptures. A visit to this village allows you to witness and learn how the sculptors artistically work upon and bring about a piece of bronze art into life. They use the traditional wax method of bronze casting which they perfected throughout their generations. Make a visit to Swamimalai, experience the brilliance of the bronze artists and admire the numerous ancient temples in and around Swamimalai. 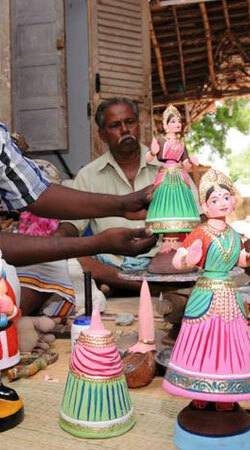 Around 200 families in the Vilachery village are engaged in clay Doll making. The artisans here really have a way of their own with clay, and they owe their skill to their forefathers who were traditionally involved in making clay potteries. They also make papiermache dolls which are in high demand. First the dolls are made using moulds, and then the artists bring the dolls to life by skilfully painting them as per the designs in their mind. Navratri, VinayakaChathurthi and Christmas are the major occasions when these dolls of Vilachery are sought by people from far and near.